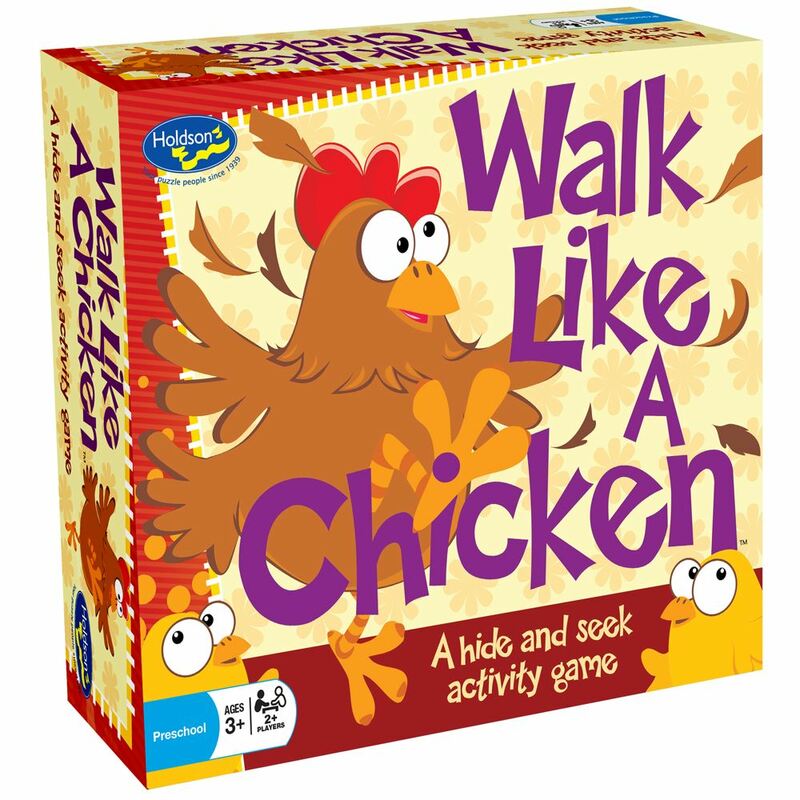 Walk like a Chicken helps to build language skills, comprehension and more! It's a fun way to develop your child's creativity, imagination, memory , social development, role playing and physical development! Hide the 24 objects in the chosen area - Now quick - go and find them! But there's a catch - Players may only move about while walking like the object they are looking for.....a chicken, a robot, a cheeky monkey.....arghhhh, a pirate with a peg leg! For 2 or more players. Age 3+ years. Made in New Zealand by Holdson.